Becoming a CPA in Kentucky requires a lot of hard work and dedication but is achievable within a few years of receiving a bachelor’s degree in accounting. Unlike many states, Kentucky requires CPA candidates to work with its state board of accountancy to determine eligibility for taking the Uniform CPA Examination, rather than applying through the national state board association. Once the KSBA approves your application, it sends an “Authorization to Test” to the National Association of State Boards of Accountancy (NASBA). You will receive an invoice from NASBA, which is payable within 90 days. Once NASBA receives the funds, you will receive a Notice to Schedule the Uniform CPA Examination. You receive this notice via the method chosen in your application, either via email, fax or regular mail. The Uniform CPA Examination consists of four separate components: Financial accounting and reporting; Business environment and concepts; Regulation and Auditing and Attestation. The test for each component lasts four hours, for a total of 16 hours of testing. You can take each exam on separate dates or take the entire exam in one 16-hour sitting. All components of the exam must be completed within 18 months of passing the initial component. 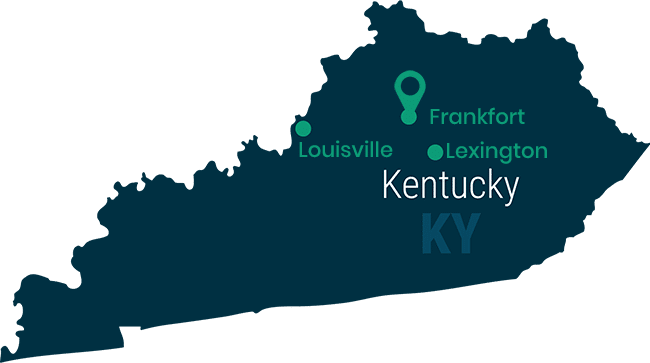 The Uniform CPA Examination is held in three Kentucky cities: Florence, Lexington and Louisville. Visit the Prometric website to schedule your exam. On the day of the testing, arrive at the test site at least 30 minutes before the time the test is set to begin. You will need official identification to take the test, such as a driver’s license or some other form of identification including your photograph. After you complete the exam, your scores are mailed to you. The Uniform CPA Examination consists of four separate components. After passing the Uniform CPA Examination, you can begin to gain the necessary experience qualifying you for Kentucky CPA licensing. Kentucky requires CPA candidates to complete 2,000 hours of practical experience over one year. You must complete the experience portion within five years of passing the Uniform CPA Examination. Experience is overseen and verified by a licensed CPA, but Kentucky does not require that CPA to hold Kentucky licensure. You may gain experience working in academia, government, industry or public practice accounting or auditing. You may work for more than one employer to gain the required number of hours. If you gained your experience in academia, you must include all courses you taught, and the course titles and dates and number of semester hours. After completing your experience and having the certified CPA verify it, you may apply for licensure. Download the Application for an Initial License as Kentucky Certified Public Accountant. When sending in the application, include a 2” x 2” photo of yourself. Along with the Certificate of Experience, send along your official college transcripts and an application fee with a check made out to the KSBA. You must complete and sign the application in the presence of a notary public. Mail the completed and notarized application to the KSBA. You must also send the applicable fees in a check made payable to the KSBA. Have the application’s certificate and acknowledgement page notarized and send the entire package to the KSBA. Kentucky’s Continuing Professional Education (CPE) requirements vary depending on your job. If the previous two years of your work took place in a public accounting firm and you worked 3,000 hours or more, you must complete 80 CPE hours every two years. All other licensed CPAs must complete 60 CPE hours every two years. You may also receive CPE credit for administrative procedures dealing with attest services and courses in specialized areas of the industry. Such specialization include financial analysis, cost accounting, management consulting, academia and government accounting. Article and book publishing may account for up to 25 percent of your CPE credits. Lecturing, speaking or leading discussions may account for up to 60 percent of your CPE credits. Once you have completed your CPE credits, hold on to the documentation for at least five years. This documentation includes the titles and descriptions of courses, the dates attended, the sponsor and how many CPE hours you are claiming for each course.